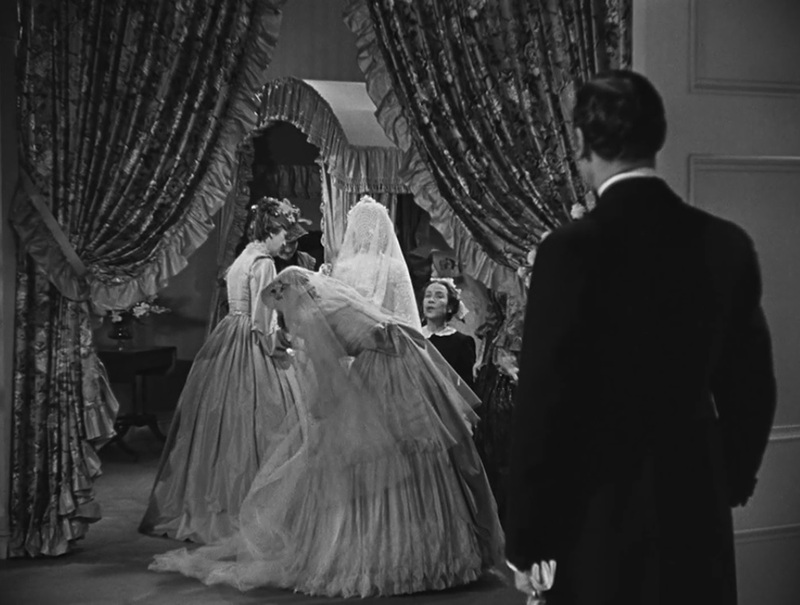 I spend the whole weekend watching Bette Davis movies, outside of a very arduous walk to get eggs, milk and tea. I live on the other side of the tracks from where I almost always need to go, and with the weather the bridge is too exposed to hard winds. I’ve lost too many winter pieces without replacing them properly, I’m not able to bundle up enough. Not enough socks to make my rain boots winter ones. 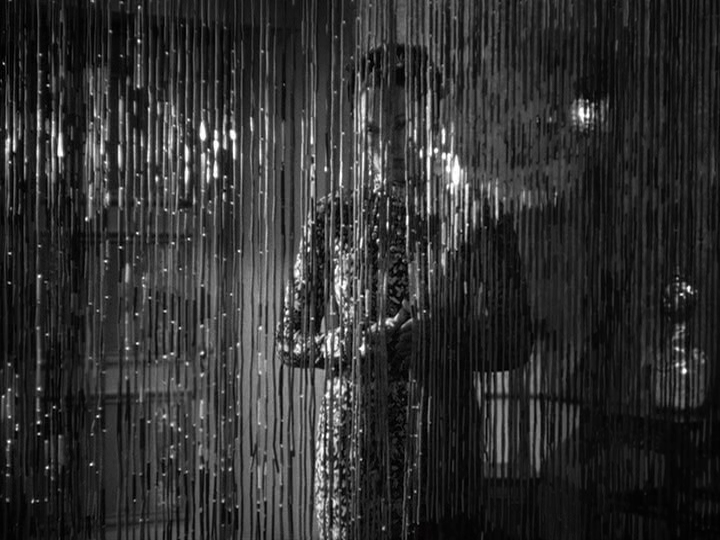 Anyways, on to Bette Davis. 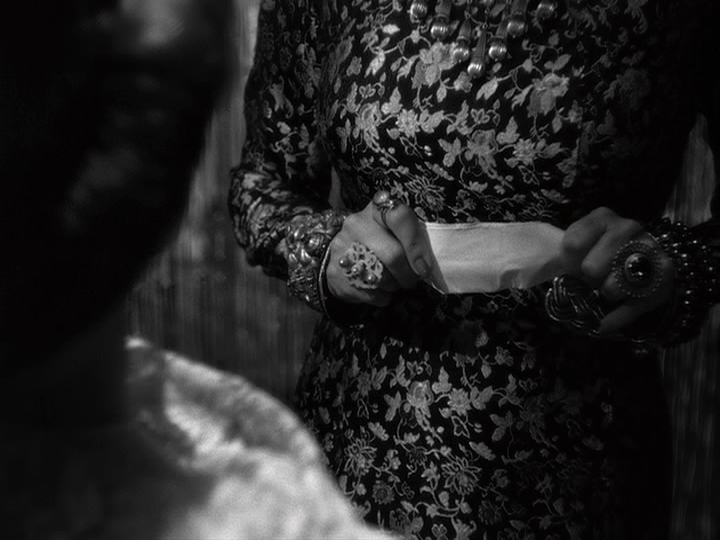 In The Letter how often her character is in the foreground, but out of focus (usually in scenes of confrontation). How she’s seen but never clearly, how the men around her don’t know who they’re dealing with. 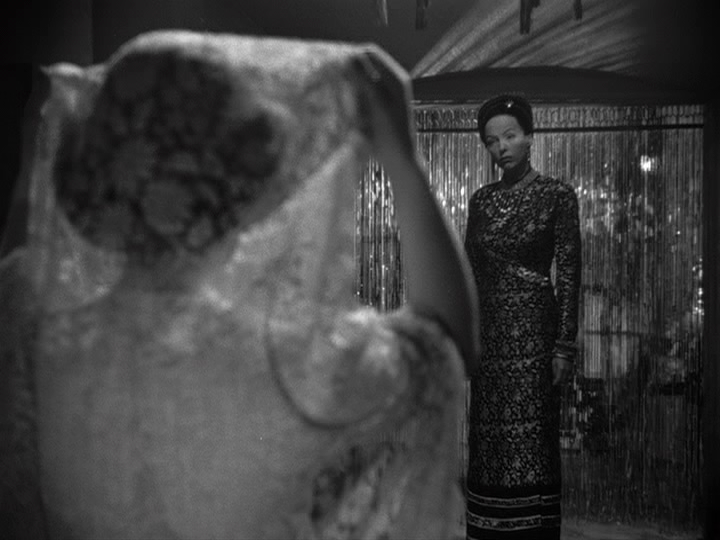 Her rival, the widow, does, and she too can’t be seen properly, seen in shadows and through curtains, described as having “a face like a mask,” Gale Sondergaard in yellow face (if the Other has a face like a mask we can never see them as human). Another example of a movie where the colonizer is bad, but can’t be bothered to treat any race that isn’t white as full human beings. A waste, Mrs. Hammond (her whole history erased, absorbed into her husband’s name!) could have been amazing in another’s hands. These two women are equals, detail oriented and opaque, two spiders. In The Old Maid how we never see the weddings, just people getting ready, and crowds watching the event. Charlotte, the titular Old Maid, can’t be part of this world, so the audience isn’t either. 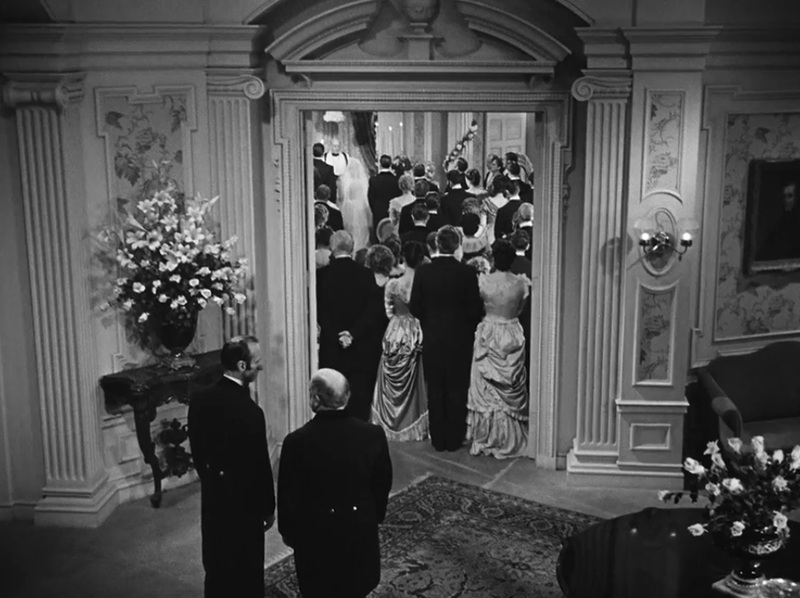 Miriam Hopkins ends up playing sunny to the point of breaking in both this and Old Acquaintance, while Davis is preternaturally wise and then hard and brittle. You see a lot with Bette Davis’ eyes. 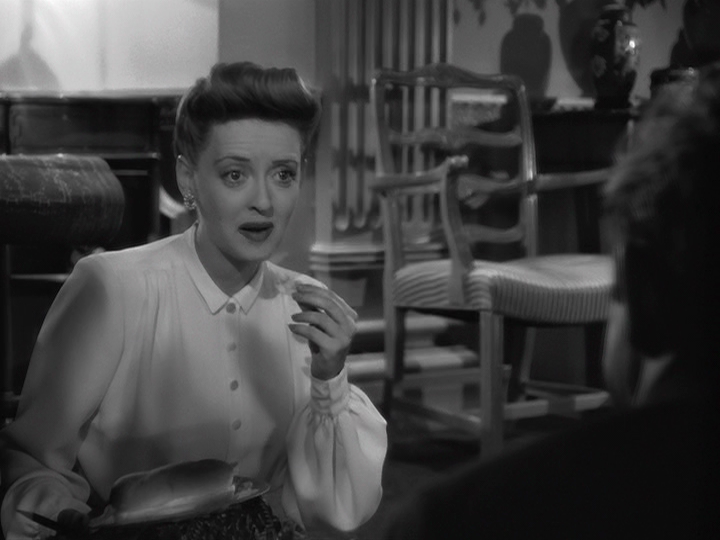 Now, Voyager!!! A makeover move, a movie about the power of eyebrows and maternity. The overburdened Charlotte has a breakdown and is able to enter into the world. She has to break to break free, not becoming a new person, but being able to be the person she always was. This is a change, but not so much that she can’t recognize who she once was in her lover’s daughter. Her only fate was to be what her mother wanted, but here is able to become her own kind of mother. Her refrain of what she wants, her own home, her own man, her own family. Oddly reminiscent of Woolf’s line, but here Charlotte is still an author, without writing. Healing from the bad mother to become a good one! Getting to have her man and her family, but also maintaining her freedom. So much more power in substitute mother than second wife. You break free of your own cycle of violence by creating a new world where there isn’t one. There’s a lot of intergenerational drama in these movies (Old Maid and Old Acquaintance especially), switching of roles and love interests, which I suppose must happen when you’re depicting a whole life with only a few key characters. And “acting” is playing the same person at every stage of their life, drawing a clear line from point A to point B. Also, eating hot dogs with Claude Rains on the floor.